If you want all the details then check out my new book about photon mapping. and the overall quality of the global illumination. 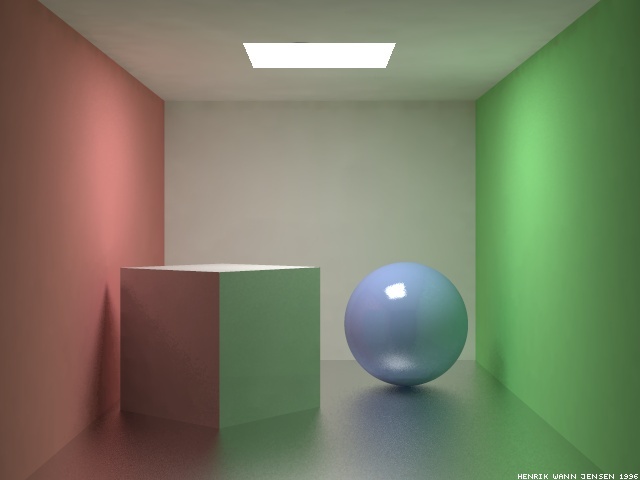 This paper presents a two pass global illumination method based on the concept of photon maps. It represents a significant improvement of a previously described approach both with respect to speed, accuracy and versatility. In the first pass two photon maps are created by emitting packets of energy (photons) from the light sources and storing these as they hit surfaces within the scene. We use one high resolution caustics photon map to render caustics that are visualized directly and one low resolution photon map that is used during the rendering step. 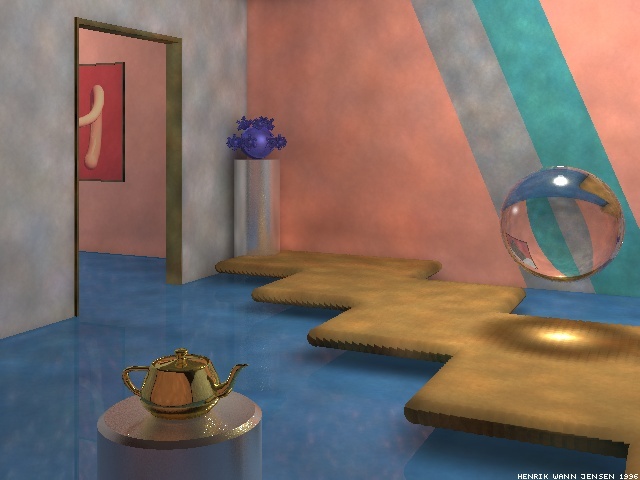 The scene is rendered using a distribution ray tracing algorithm optimized by using the information in the photon maps. 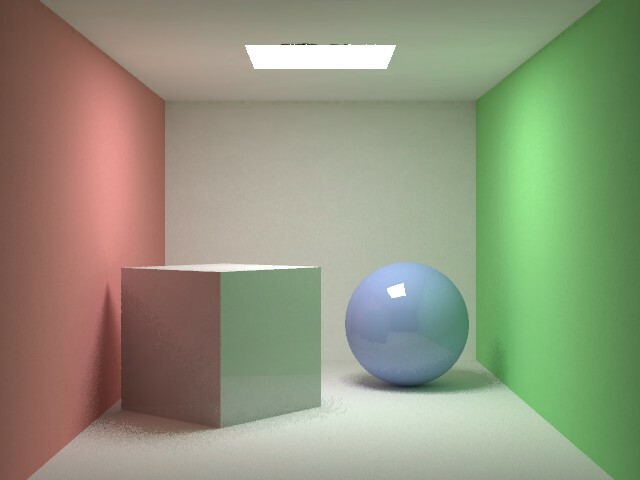 Shadow photons are used to render shadows more efficiently and the directional information in the photon map is used to generate more optimal sampling directions and to limit the recursion in the distribution ray tracer by providing an estimate of the radiance on all surfaces with the exception of specular and highly glossy surfaces. Noise and blur at discontinuities in the radiance estimate is reduced by using a cone filter. 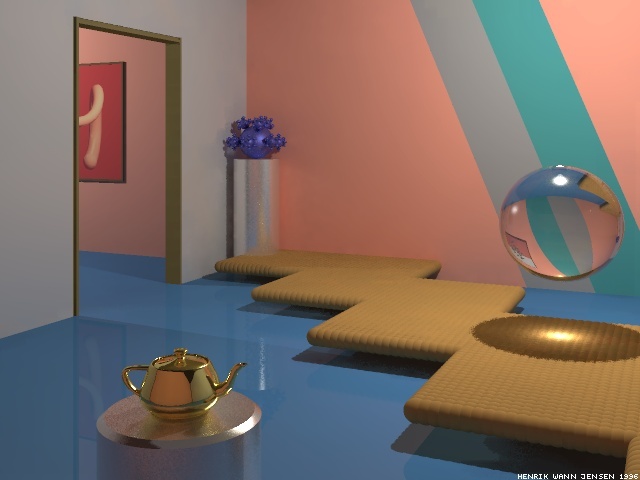 The results presented demonstrate global illumination in scenes containing procedural objects and surfaces with diffuse and glossy reflection models. The implementation is also compared with the Radiance program. The Museum. Resolution 1280x960. Rendering time 56 min. The global photon in the Museum visualized directly. 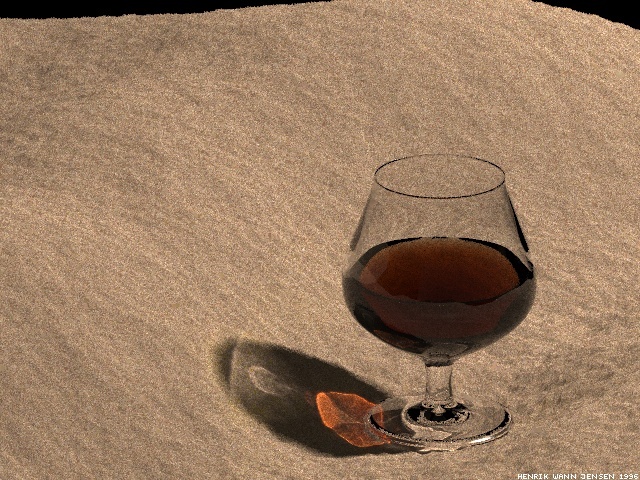 The cognac glass. Resolution 1280x960. Rendering only took 65 min. and building the photon map took 27 min. (most of the time was spent intersecting the fractal surface object). A glossy floor. Resolution 2560x1920. Rendering time 50 min. The Glossy Cornell Box rendered using Radiance. Resolution 5120x3840. Rendering time 6 hours. Only diffuse surfaces. Resolution 1280x960. Rendering time 10 min. Only diffuse surfaces. Resolution 1280x960. Rendering time 60 min.